ITALY’S anti-immigration Minister Matteo Salvini was met with support by Libyan authorities as he proposed new measures to tackle illegal migration as tensions between Rome and Brussels continue to rise. 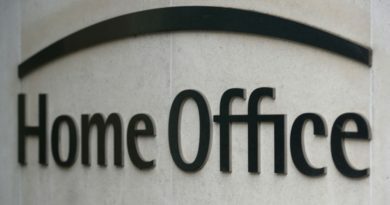 The far-right Interior Minister met with his Libyan counterpart on Monday to discuss the immigration emergency facing Europe. Before setting foot in Tripoli, Matteo Salvini demanded that foreign charities stop rescuing migrants off the North African coast and bringing them to Italy. Mr Salvini met with Libyan Interior Minister Abdulasalam Ashour, and tweeted his commitment to “reinforce the friendship and cooperation between our two countries on all fronts, starting with the immigration emergency. Libyan Deputy Prime Minister Ahmed Maiteeq told the Italian newspaper La Repubblica on Monday that Tripoli sees cooperation with Italy on the trafficking issue as “crucial”. He said: “Traffickers who bring migrants to Italy are dangerous criminal groups for us, who prevent Libya from taking a step toward a difficult normalization. After his meeting, Mr Salvini thanked the Libyan coastguard for the “excellent work” in rescuing and intercepting migrants and said the two countries were in “full agreement” over immigration. The Italian minister proposed setting up migrant reception centres at Libya’s southern borders to help stanch a flow of migrants across the Mediterranean Sea to Italy. 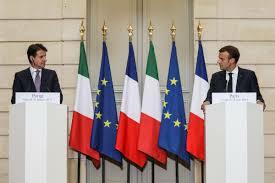 Mr Salvini said such centres would ease pressure on both Libya and Italy. 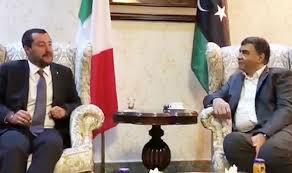 However, Mr Maiteeq said that while it was ready to tackle migration, “we completely reject any migrant camps in Libya. The Italian Interior Minister promised to set up a new European meeting on migration in Libya by September 2018, to put forward the new strong anti-immigration Italian stance together with its new Libyan partnership before other European leaders. On Sunday, Italian Prime Minister Giuseppe Conte announced his country has put forward a new migration policy proposal to the European Union to “effectively” protect the Schengen Area.